The strongest new television dramas this year are coming out of Britain and Brazil, according to experts at the world's top entertainment showcase. Huge ratings hits like the BBC's "The Bodyguard" and "The Cry" led "a particularly strong fall season in the UK", said Virginia Mouseler of The Wit database, "that combine star power with complex, gripping stories". "British drama is very much back," added the analyst, whose influential "Fresh TV" talks are one of the highlights of the MIPCOM gathering of programme makers and buyers in the French Riviera city of Cannes. New Brazilian series are also making waves, with three gritty dramas from the Globo broadcaster going down a storm with Latin American audiences. Richard Madden of "Game of Thrones" fame leads the cast of "The Bodyguard", a taut political thriller, which has broken download records in the UK. 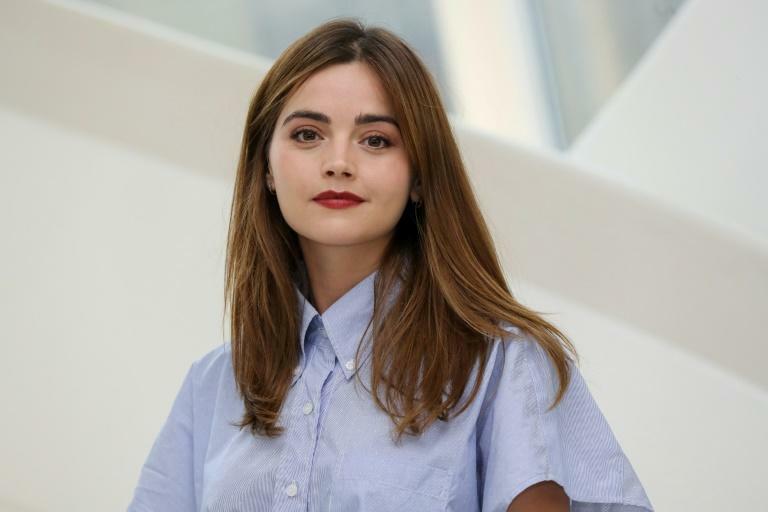 Mouseler described "The Cry" -- starring Jenna Coleman -- as coming from a new "maternity noir" genre. It the story of a young mother not coping with her new baby who is plunged into a nightmare when the child disappears during a trip to Australia. Britain's rival commercial ITV network has also won a lot of fans with its two big new series, she said. "Strangers" is set against a backdrop of Hong Kong Triad organised crime, and Tony Marchant's new gender change drama, "Butterfly", which began last week, was both "timely and moving", the story an 11-year-old boy who wants to be a girl. The big Brazilian hits are led by the high-octane favelas drama "Impure" on Fox Premium about a mixed-raced soldier who "goes from being a good citizen to a crime genius" to take revenge on the police after they murder his brother. The harrowing "Harassment" is based on "the terrifying true story of a doctor who raped 37 patients and was sentenced to nearly 300 years in prison" for his crimes, Mouseler said. Reaction to the oil rig-set drama "Iron Island" was so good a new series was commissioned before the first one was shown, she added. "Latin American drama is very impressive this year," Mouseler said, also picking out the souped-up Argentinian telenovela, "100 Days to Fall in Love". More book and movie adaptations were also hitting the small screen, she said, with the German-Austrian "M", about a child killer stalking Vienna, taken from Fritz Lang's classic 1931 film. A TV version of Jacques Audiard's gritty 2009 French drama "A Prophet" is also in the pipeline, according to reports Wednesday. Elena Ferrante's bestseller "My Brilliant Friend" will be screened in the US and Italy next month as an eight-part series, with the rest of her much-loved Neapolitan novels also set to follow. The mysterious Italian writer pulled the strings behind the production, which is said to be extremely faithful to the spirit of her tale of the enduring friendship between two girls from a dirt-poor Naples neighbourhood. An international publishing sensation, the series is being shown in the US by HBO. Another "Game of Thrones" star Aidan Gillen has also been winning plaudits at MIPCOM for his performance as astrophysicist Allen Hynek in the UFO thriller "Project Blue Book", which is based on the US Air Force's true-life investigations into sightings in the 1950s. After "Money Heist" breaking all records for a non-English series on Netflix, Spanish drama was also performing strongly, Mouseler said. The number one show in Spain so far is "Unauthorised Living" about a narco crime boss with Alzheimer's Disease who must try to pass on his empire without his rivals realising his weakness. "Victim No 8" about a fictional jihadist attack on the Basque city of Bilbao, and "More Than 100 Lies", a school hacker who causes chaos when he breaks into the phones of teachers and students, also impressed, she said.